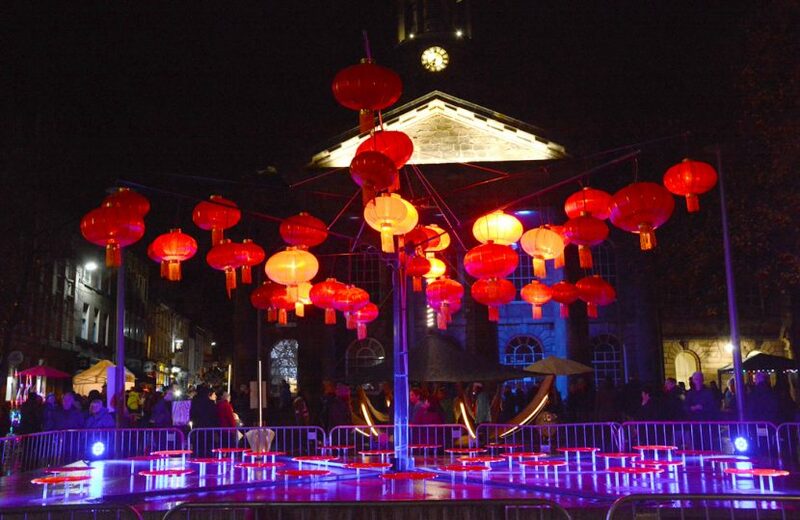 Artists and lighting specialists are invited to submit proposals for a light art project funded by Lancaster Business Improvement District (BID) and Lancaster City Council (LCC) which is to be launched at Light Up Lancaster Festival in November 2018. We are keen to hear from artists, groups of artists, lighting specialists, contractors or partnerships who want to design and install creative lighting in 3 of Lancaster’s historic ginnels. Each ginnel is currently lit by a standard single lighting point. They are about to undergo works of improvement to make them cleaner, more accessible spaces, providing a ‘blank canvas’ for new creative lighting. The brief is to design a permanent creative lighting solution into all 3 ginnels. The aim of the project is to make the ginnels bright and safe, welcoming and engaging, encouraging people to go through the ginnel to discover the businesses on the other side. The permanent lighting installed must be maintenance-free or very low maintenance. We would hope that the designer / artist / contractor would consult with the local businesses, and design a scheme which is bespoke to Lancaster. The installations need to consider the British Standard BS5489-1:2013 Table 3 and 4 which gives recommended lighting levels. Electrical installation should comply with BS 7671 current edition, and utilise existing supplies. Lighting fittings will need to be vandal resistant, weather proof and UMSUG coded for unmetered supply purposes. 3 ginnels have currently been identified to benefit from this project: Music Room Passage, Sir Simon’s Arcade and Golden Ball Lane. All are in the bustling centre of Lancaster, a vibrant small city. Each of these ginnels has been chosen as they lead visitors toward further shopping areas. The project is managed by Lancaster BID and supported by the local authority. All projects should be technically self-sufficient and budgets calculated to include all technical equipment and requirements. Projects will be supported by Lancaster BID, and where needed further guidance and advice can be supplied. Can we add other elements, like a mural? No. This project is just for lighting. • Applicants should have their own public liability insurance. mean completing work ‘out of hours’ or ensuring a suitable and signed diversion route. working with lighting specialists or vice versa. Maximum of £8,000 + VAT. This should cover all costs including equipment and installation.